My first Aug 8 FDA comment | Gratitude. Grr! Attitude! I will try to do a second comment that answers one or more of the narrower FDA questions. 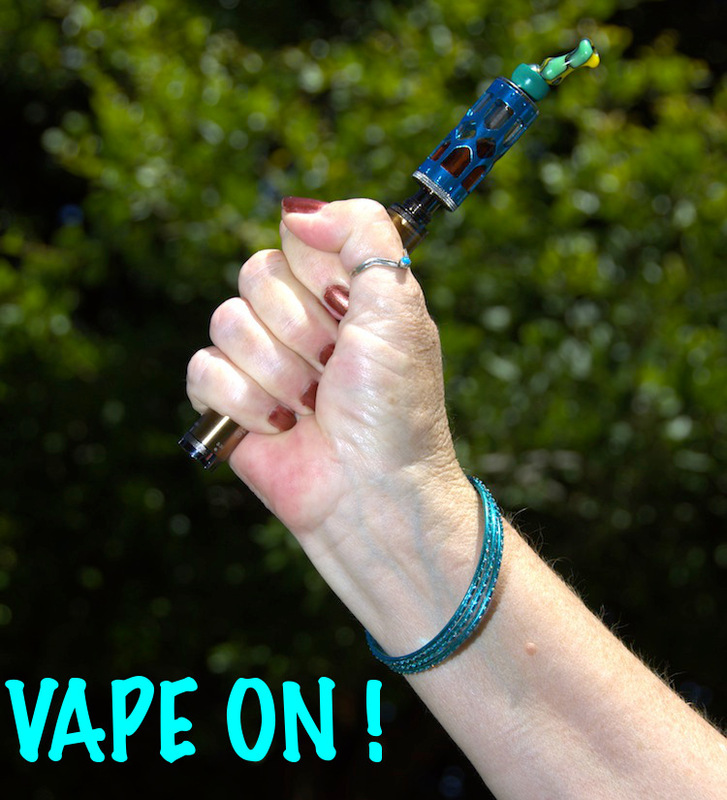 I am a 62-year-old mother, grandmother, and vaper. I am also an engineer, with 2 years of college chemistry-for-chemistry majors, 2 years of college physics, 1 year of college biology, and a minor in mathematics including probability and statistics. As such, I have a significantly deeper understanding of a lot of the literature and pseudo-literature on the topic of e-cigarettes than many lay people have. I can spot, without help, a lot of invalid conclusions and mistakes in logic or chemistry, when reading these documents and very rarely have to rely on other people’s opinions of a paper when I encounter it. I also joined CASAA as a member because I became aware that my prospects for continued health was being endangered by people who are misinformed about the properties of nicotine vs. tar and smoke inhalation. I smoked 24 combustible cigarettes a day for 40 years. When I started vaping in early 2011, each improvement in vaping technology brought a decrease in cigarette smoking. For the last 2 years I have used refillable tanks with e-liquid I special-order for the flavor, and I smoke 3 cigarettes a day. I have a goal to get that to 0. I have tried patches about a dozen times, gum once, hypnosis twice, Wellbutrin once, and a really good class that no longer exists once. And, of course, cold turkey about 1000 times. Patches and gum didn’t work much at all. Wellbutrin had zero effect on me, it might as well have been a sugar pill. Hypnosis had a negative effect – she used images of illness and death, so I kept smoking but had nightmares. The class I took worked well-enough so that I quit for over a year, but went back to smoking when the stress levels came back up. Doing things to change the flavor of the cigarettes to make them unfamiliar was a cornerstone of the method. My doctor wanted me to try Chantix and I declined, because even birth control pills affect my moods very strongly. Now that I’ve read about the 500 suicides and 18 homicides from Chantix, I think I dodged a bullet there. I would like to comment on the effects that over-regulation, or poorly-informed regulation, would have on me. If the only e-cigs available were cigalikes, I’d probably start mixing my stored 10% nicotine (requires gloves, goggles, ventilation, apron, excellent measuring skills) with flavors from my favorite vendor, and keep rebuilding my existing equipment at home. This actually scares me, I vape 3% nicotine and anything much above 5% requires special handling. If all my equipment wore out, broke down, etc then I’d have to choose between a potentially risky black market, along with the humiliation of becoming a lawbreaker, and, worse, DEALING with lawbreakers who might contaminate things. Or, I might purchase a few cigalikes (NOT from tobacco companies!) and go back to smoking about 20 cigarettes a day like I did when I was using cigalikes before. I might also try to buy 10% nicotine (hazardous) or 100% nicotine (deadly dangerous to work with if you don’t know what you are doing) and hope it’s pure. Bottom line: use and handling of scary non-branded untraceable stuff alternating with smoking 80% as much as I did in the beginning. E-liquid is not a true tobacco product, it is ‘legally’ a tobacco product but not scientifically. Unflavored e-liquid has no flavor at all unless it contains nicotine, in which case it has a slight peppery flavor in otherwise unflavored vapor. So even tobacco-flavored e-liquid is an artisan product, similar to wine from small vintners or artisan beer. E-liquid flavor bans will hurt me and almost certainly increase my smoking. I only like about 2-3 tobacco flavors out of thousands that exist, and they are from small vendors who make most of their income on a wide variety of flavors and strengths. It took me a year to find the flavor that keeps me off cigarettes all day (except rising and going to bed) and if most vendors are driven out of business by a huge regulatory burden, then it’s very likely I will not even be able to get the specific tobacco flavor I need. Most likely, I will end up smoking about 10 cigarettes/day instead of 3 or 0, because I won’t enjoy vaping enough. As a scientist’s daughter and an engineer, I watched a 2011 meeting of the FDA with some industry representatives, and also CASAA members speaking. So I looked at the credentials of the FDA listeners and was horrified to see they appeared to be mostly lawyers instead of scientists. I believe there was one public health social worker, I don’t remember if there was a nurse. In reading the FDA proposed document, it is clear to me that, in addition, the FDA does not consider vapers (or smokers!) to be their clientele. The paragraphs about believing it would be beneficial to prevent cheaper products from competing with more expensive ones are a dead give-away. Patent infringement is a different gov’t department, so I assume you mean the notorious “please level the playing field” arguments coming from pharmaceutical companies. That is not good justification for requiring pre-market approval for anything but very significantly new formulations of e-liquid in the future, such as a different carrier other than propylene glycol and vegetable glycerine, or some plant or chemical that is not GRAS and also not found in combustible tobacco products. In other words, we have 7 years of pre-testing of e-cigarettes, and 200+ years of testing tobacco, so those common ingredients can be “stipulated” as safe until found otherwise. There is no danger of a 1937 cough-medicine-style disaster with the types of e-cigarettes already widely sold for several years. Pre-market approval should be reserved for radical changes from these formulations. I know these companies pay user fees to the FDA, but the FDA’s mandate is not to guard profits, it is to guard health. My doctor is thrilled with my progress and improved breathing, I am hopeful for the first time in decades of living a lifespan closer to what I was born to have – and the FDA’s handling of this document and press releases make it clear that everybody BUT American patients come first. The FDA was given its powers to protect the American people. These are powers of chemical and medical judgment. The people who need protection from smoked cigarettes are smokers, their families, and former smokers who now vape. The regulations as proposed would wipe out all but Big Tobacco and two big cigalike companies, and make hundreds of thousands of vapers miserable, and wipe out our vendors, who also vape and are also our friends. For no reason. For obvious junk science. Crafting a reasonable regulation that protects us from Chinese glycerine and oddball inventors would be challenging but quite doable if the FDA started by asking Congress to grandfather existing vaping items and e-liquids with the provision that you could take action if something is found unsafe, and then ONLY requiring vetting of crazy new ingredients, not pre-approval of the product as though it was a pharmaceutical. This is a product for people that tolerate combustible cigarettes just fine. I would expect the FDA’s legal experts to know how a judging organization such as the FDA ought to behave, and I am not seeing that judicious impartiality in this proposal. Nor am I seeing evidence that people who know the math and science of actual smoking and vaping behavior are even involved in this process at all. The documents and press releases harp on the variability of delivery, which is a perfectly legitimate (life-and-death!) concern with heart medicine but utter nonsense when the product (e-cigs) work precisely BECAUSE it mimics the very individual and variable delivery from combustible cigarettes. I am also not seeing the kind of dedication to truth I’d expect of a scientific, medical, or even judicial body. The FDA would never ever allow one drug company to publish misleading attacks on a competitor such as “carcinogens were found in XXXX” when the amounts were well within tolerance AND no more than what is found in all similar products. It would not be allowed because it is corrupt and immoral. Yet the FDA has yet to clarify or retract their 2009 claims in exactly that format, about the 2 chinese cartridges which were safer than a lot of FDA-approved NRT products even though they could have used (minor) improvements. I believe this betrays a lack of good faith on the part of the FDA in building these proposals, and so the FDA should to start again from scratch with a team of medical, scientific, and statistical math experts without conflict of interests, not anti-nicotine, not anti-consumer. There is hard work to do to get this right and the FDA has avoided appropriate, competent, and scientifically valid work for 5 years now, while funding known nicotine prohibitionists with millions of $$ to keep trying to find the holy grail of justification for sending us all back to Big Tobacco (who will be happy to have us!) This might be the proper behavior of litigators, but not of a judging body. The FDA needs to build a new framework to accommodate that. The job is not impossible, merely challenging. Deeming e-cigarettes to be a tobacco product is not a prerequisite, it is a false start. E-cigarettes lack tar and particulates, which have been known to be the harmful components of smoke, so the phrasing “may be less hazardous” is inappropriate. They are clearly less hazardous. CASAA can (and, in the past, has) provided the FDA with research along these lines. Note that “reduced harm” does not mean medicinal. It means a consumer product that is significantly safer than smoke inhalation. I have no objection to a mild addiction warning. Lawyers work on precedent, narrowing their choices. Scientists and engineers work towards a specified outcome, which requires expanding, not contracting, their vision. Anything else will cost many thousands if not millions of lives, making the 100 people that died in the disaster of 1937 look trivial. What is the FDA’s mission? Our lives? Or the comfort of large companies and large bureaucracies? If the FDA wants to retain its credibility and our respect, and that of our families (my family supports my vaping, and they did NOT support my smoking!!) then please get the right people and the right goals and get it done right.